Dennis Gunn is the General Securities Principal for Merrimac Corporate Securities, Inc. In September 1978, he originally developed Consultant Elite, LTD which later became the Investment Banking company, Raging Bull Capital, Inc. (1994). Mr. Gunn was Chairman of the Board for Crusader Oil International. He was acting President of Riverside Homes, a public entity. He serves as an advisor and a principal on varies companies. He was the CIO/CEO Xnergy LLC. Mr. Gunn has created two hedge funds and marketed one Real Estate fund and worked with the Merger/Acquisitions Company, Janas Corp in Pasadena. Mr. Gunn has extensive experience in mergers, acquisitions, private and public corporate development, growth financing, joint ventures, investor and broker relations, executive management, project management, strategic planning, market development, organizational consulting, and investment banking. His key talents lie in leading executives, developing financial models and derivatives and merger/acquisition strategies, fund raising, and coordinating initial public offerings for the organizations that he is involved with. He has been selected for the Who’s Who in Finance since 1984. He is a guest lecturer in the areas of funding and investment banking. He has been a guest of Talk Money TV. Mr. Gunn is a sports enthusiast. He is an avid SCUBA Diver. He has served as the Chairman of the Board for a hockey clothing manufacturer and distributor, Black Biscuit. Within 7 months, Mr. Gunn transformed this non-bankable company into one that was bankable. He was a Research Diver for the Catalina Conservancy (non paying charity support). Mr. Gunn redeveloped an entertainment company that was ultimately merged with a home entertainment provider. 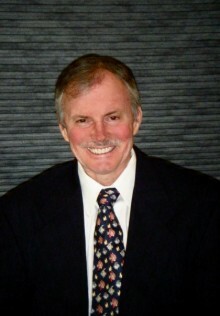 His roles have included a licensed real estate broker, licensed stock broker and securities principal, and consultant and executive to a multi-faceted industry group, including real estate, financial securities, banking, employment outsourcing, information services, insurance, international finance, law, sports, and film and entertainment. In the real estate sector, for Pulte Homes he created a simulation marketing and development model that determined the feasibility of land that was planned for subdivisions. He also has experience in developing REIT’s. Mr. Gunn is a lifetime member of the United States Tennis Association, and former associate member of The British Academy of Film and Television Arts, Los Angeles. He was a founding member of the Tau Mu Chapter of Alpha Phi Omega Fraternity. Mr. Gunn holds a BS in Business Administration from the University of Redlands. He has done graduate work at the Graziadio School of Business and Management at Pepperdine University. He holds various active securities licenses including Series 7, Series 79, Series 24, Series 63 and Series 79 (CRD: 2245139). Mr. Gunn is a licensed Real Estate Broker (Finest Financial Realty). Earlier in his career, he studied at the Lees Strasberg Institute and had professional coaching with Lurene Tuttle and still has many contacts in the Entertainment Business. Do you want to hire Dennis Gunn? Directly request a quote. In 48 hours we can send you the availability of Dennis Gunn If you would like to book Dennis Gunn, Entertainment Booking Agency is the right place. We will offer you the best price and contact the management or we directly contact Dennis Gunn. For corporate appearances or speaking engagements you can contact our agents and the will help you true the process. Tags: hire Dennis Gunn, Dennis Gunn booking, book Dennis Gunn, Dennis Gunn appearances, find more information on booking Dennis Gunn for appearances, Dennis Gunn speaking engagements, Dennis Gunn endorsements/spokesperson, Dennis Gunn appearance fees, Dennis Gunn booking agency contact info, biography of Dennis Gunn, Contact an artist booking talent agent find a speakers bureau that can book Dennis Gunn, speaker booking agency for Dennis Gunn, Dennis Gunn booking agency, Dennis Gunn booking for corporate event. EBA is one of the biggest entertainment booking agencies in the World. We book hundreds of celebrities, artist, athletes and speakers in a year. Important to know is that we are not claiming to be the management of Dennis Gunn. We are not the official agent for Dennis Gunn. Companies from around the globe book these artists and speakers true our company be course we have one of the biggest networks and we always have direct contact with the artist or the management. We help you to find the right celebrities for your corporate of private events. Please contact one of our agents to get free advice and we will help to get the world-famous artist on your party.